MANILA—Ten players came during the resumption of the Gilas Pilipinas practice on Monday night at the Meralco Gym in Pasig. Raymond Almazan, Mark Barroca, Marcio Lassiter, Paul Lee, and Gabe Norwood took part in the drills despite playing the night before. “Nasa Digos pa sina Japeth [Aguilar] at Scottie [Thompson]. Si June Mar [Fajardo], masama ang pakiramdam,” Coach Yeng Guiao explained the absence of the said players. Monday's training marked the first time the national team practiced together without Andray Blatche. The naturalized center is expected to rejoin Gilas on Saturday, just as the team arrives in Doha. 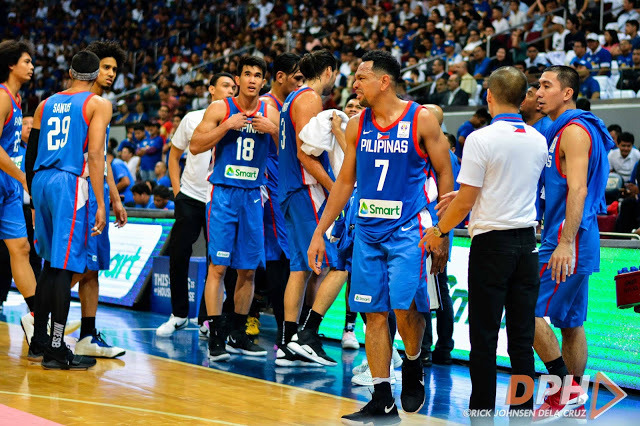 Gilas will battle Qatar on Feb. 21 there during the final window of the 2019 FIBA World Cup Asian Qualifiers.